The recently renovated 4 star hotel La Siesta is in the popular resort of Playa de Las Americas in Tenerife and just 250 metres from the seaside and nearest beach. Playa de las Americas is a lively fun resort with a wide range of amenities and activities to keep you busy throughout your stay. This modern 4 star is a great choice for couples or families looking for a quality hotel with a wide range of holiday facilities yet conveniently close to the resort centre too. The La Siesta hotel is around 15 kilometres from Tenerife airport just a convenient 20 -25 minute taxi transfer time away. La Siesta hotel offers luxurious and spacious accommodation within its 282 guestrooms including 22 superior rooms. Every room has been tastefully furnished and is well equipped with a private en-suite bathroom, hair dryer, direct dial telephone, air conditioning, and Satellite TV, mini-bar and sun terrace. Guests in superior rooms can also enjoy a hydro massage bathtub. 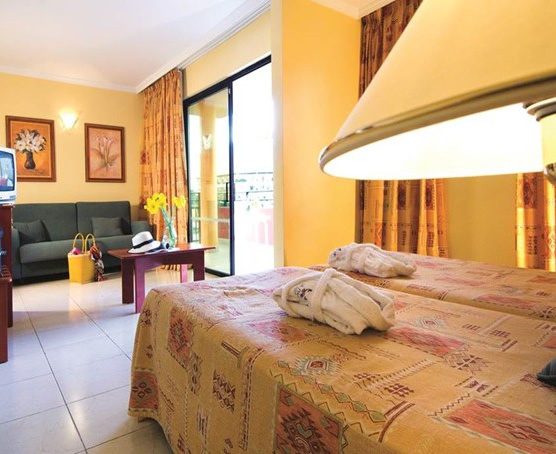 The La Siesta also offers 5 rooms with dedicated disabled facilities. 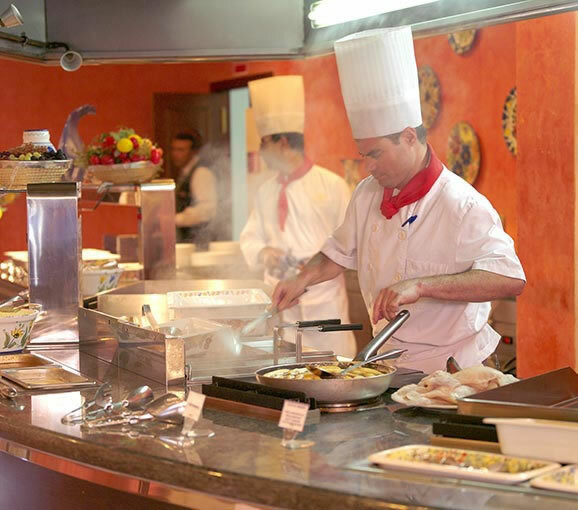 La Siesta Hotel offers guests a buffet service with ‘show cooking’ in the main "El Drago" Restaurant. This bright modern room provide an informal atmosphere where guests can enjoy both local Canarian specialties as well as a range of international cuisine. During lunchtime guests that don’t want to move far from their sunbeds can enjoy a light lunch or snack in the "El Bohío" snack bar located conveniently beside the hotels outdoor swimming pool. Normally there is a weekly traditional barbecue which is accompanied by entertainment provided by local folk groups. A variety of sports and entertainment are available at La Siesta Hotel. Activities are available such as; volleyball, darts, rifle shooting, pool, table tennis (with charge) and tennis facilities (with charge). 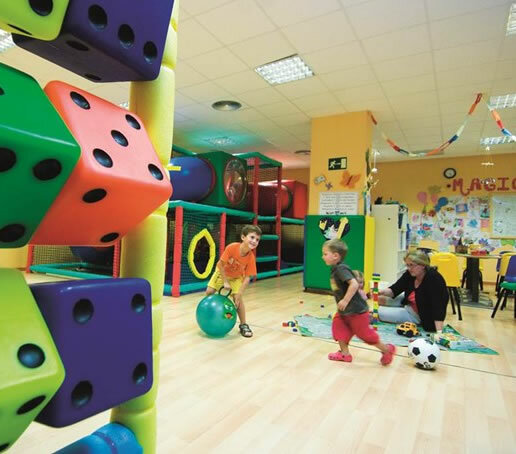 For the convenience of guests with children a mini club with a professionally trained entertainment team is available year round to organize suitable children's activities throughout the day. La Siesta Hotel boasts its own exotic, tropical garden and terraced area with solarium. The hotel offers a large swimming pool for adults and a supervised pool for children. The La Siesta Hotel has a 24 hour reception, there are 4 meeting and congress facilities for up to 600 people, in addition there is a fitness room and spa facilities. Beauty treatments are available and there are hairdressing facilities. The hotel has an upgrade facility called Club Alexandre this option offers that added touch of luxury. Club rooms are the best rooms in the hotel and guests enjoy an outstanding additional service: all rooms have a pool view, guests have daily access to the brand new Spa & Wellness Centre “Natural”, dressing gown and slippers for use throughout the stay, luxury in-room toiletries and welcome gift in the room on arrival. Please ask us for any further details and prices.